1 Rinse tomatoes, cut out stems, halve horizontally and then trim the round parts so that tomatoes stand upright. 2 Rinse chives and shake dry. Cut two-thirds of the chives into small rings and mix with the poppy seeds on a plate. 3 Mix the cheese with a pinch of salt until smooth. Form into 10 small ovals with a teaspoon and then coat in the poppy mixture. 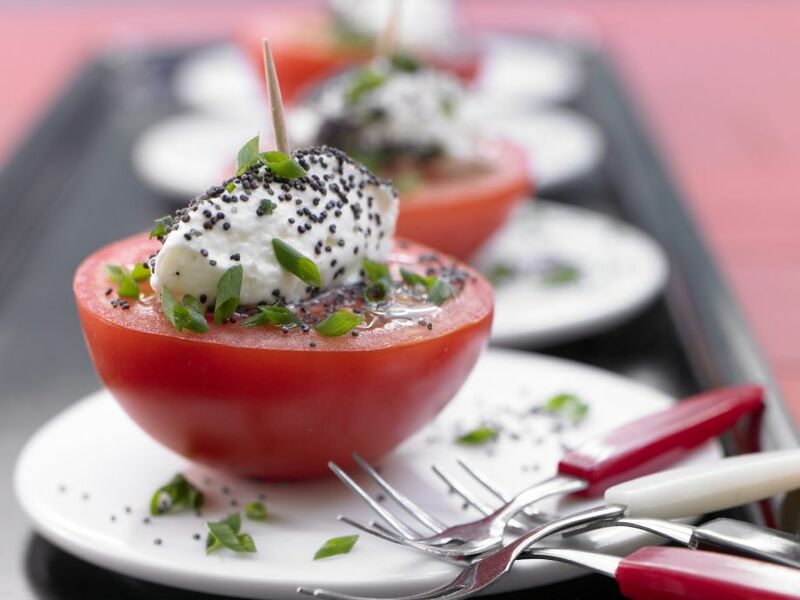 4 Place a cheese oval atop each tomato half and secure with a toothpick. Garnish with chives and serve.